Born deep in the geographical heart of Texas, Tony Street prides himself with learning the restaurant ropes from Gene Street, a Texas restaurant legend who also happens to be his uncle. Before Tony was even a teenager, he was cooking chicken fried steaks at his uncle’s Black-Eyed Pea Restaurant, a famous Texas Eatery. From that moment on, his passion and love for traditional Texas cuisine and the restaurant industry just kept growing. 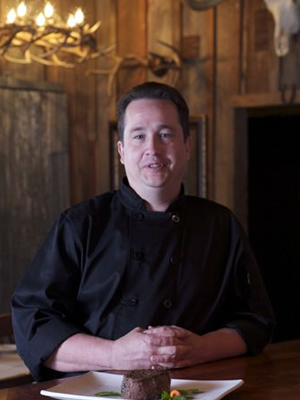 By the time Tony was in his late teens, he was showcasing his talent and passion for Texas cuisine on an international platform. At just 17 years old, he was hand picked to start Antigua Restaurant from the ground up in Acapulco, Mexico. Years later, he would take his love of Texas cooking across the pond to London’s Texas Embassy Cantina Restaurant where he was kitchen manager. Other career milestones include being trained by French chefs at Fort Worth, Texas’ only five star restaurant, soon afterward becoming its chef. Rounding out his restaurant management skills, he served as back-of-house Corporate Trainer for a noted Texas restaurant group. Of course, Tony considers joining the Y.O. Ranch Steakhouse team in Dallas as one of his greatest achievements, of which he is now the proud proprietor. The Y.O. Steakhouse is a downtown Dallas institution and the brand goes all the way back to 1880 when Texas was a frontier state. Noted for its Texas cuisine, and home to the best game menu in Dallas, the Y.O.’s buffalo filet mignon was declared one of America’s best steaks by the Food Network.